Nobody less than Lawrence Summers writes (WP 11 Dec 2017): “Don’t Expect the Economy’s Sugar High to Last” in spite of economic growth of 2.3% and stock market rise by more than 25% after election and the tax cuts. Where workers’ take home pay is concerned, there are two missing measures: raising productivity and raising equality. David Leonhardt (NYT 8 Sep 2017) “A Broken US Economy in One Simple Chart”: the poor and middle class annual income growth dropping from 3.5 to 1.2%, with the “very affluent” (0.001%) rising from 0 to 5.5%. One thing is wealth, another is life expectancy: Japan and Spain are Nos. 1 and 2, Norway No. 14, USA No. 25. No doubt the Japanese diet based on le cru, not le cuit, and the Spanish Mediterranean diet, also based on the sea, the plains and the mountains, play major roles. That leads to the “Hartford Aging Index” based on productivity, well-being, equity, cohesion, security, with 18 top countries on each. If we add the ranks on those five dimensions Norway scores 23, Spain 29, Japan and USA both 42. Sorry for being personal, but it looks good for a Japanese-Norwegian couple living in Spain. Please join, at least as tourists, Spain being No. 1 in tourism as part of GNP. Also on a personal note: it was drawn to my attention that the concept of structural violence—I introduced in 1965 to show racial violence in “Rhodesia” even if there had been no direct inter-racial murder since domestic independence 1923–scores 1.4 million hits. The concept seems to have fallen on fertile soil. It makes the world look different when properly understood: violence with no subject, but with zillions objects, starving, dying for lack of care. A small but important signal from La Nucia, neighbor municipality to Alfàs del Pi in Spain: no more permits to build new houses for some time. La Nucia wants to stop growing. 30,000 inhabitants in 2030 is the limit; with no limitation on restoration, beauty, art, well-being. “Outlawing war? It actually worked”, an article by Oona Hathaway and Scott Shapiro (NYT 5 Sep 2017) refers to the 1928 Kellogg-Briand pact that brought “an end to the right of conquest and changed the way states behave”. The pact did not abolish war but tried to make it illegal–except for self-defense, a concept that can be stretched–making war for conquest a crime. Like slavery, like colonialism. And yet their countries engage in warfare, France in Africa, USA all over. The pact should have brought in its wake a flood of court-cases. It did not, but that is now coming with the ICC. High time. Somehow Israel always comes up, one way or the other. Not always as Israel vs Palestine but, for instance, as “American Jews vs. the Israeli government”, by Richard Cohen (WP 6 Dec 2017). He points out how Jewish students on US campuses often play a leading role in the criticism of Israeli conquest-colonialism in general and its treatment of Arabs in particular, finding it increasingly difficult to support Netanyahu policies. Their sharp critique is joined by former Israeli Prime Minister Ehud Barak recently calling “the Netanyahu government ‘irrational, bordering on messianic'”. The critics will team together. Sooner rather than later that will have an impact on US policy, and with that on the test of the West. But the US bipartisan policy fact is today treating almost all of Jerusalem as capital of Israel, followed by its client state Saudi Arabia. However. That policy is obviously based on somebody–guess who!–having been able to manipulate president Trump with unlimited appetite for headline-causing sensations. Gone Trump, gone that policy. And that may happen sooner rather than later with Trump’s “America First” shedding international treaties, in fact making “America Last”, less and less being invited to participate. Others do not follow Trump, but stick to old agreements and make new ones. The more Trump the more self-inflicted US isolation. But a saner USA will be welcomed back. And the talk ends with “aligning Belt and Road initiative with the Eurasian Economic Union”. Quite a lot. Better read the talk. China, whatever its basic motives, expands its model in circles centered on its capital–like it did for millennia–with some kind of partnership the West needed centuries to develop. Even among Western nations and states; EU is still heavily France-Germany dominated. What else? Kashmir again: 225,000 km2, with India dominating 101,000, Pakistan 86,000 and China 38,000 km2. An overriding KAFTA, Kashmir Area Free Trade Association, could move toward independence. The major issues, nuclear war and rampant inequality are explored by Russell Goldman, “There is No Button” (NYT 3 Jan 2018) and Roberto Savio, “Of Billionaires, Fiscal Paradises, World Debt, and the Victims. Goldman’s point: Trump, Kim Jung-Un can order nuclear strikes alone; decision-sharing indispensable. Savio’s points: the 500 US richest grew 2017 23% to 5 trillion (US budget 3.7 trillion) taken from the rest as no more money is printed. China now tops USA in billionaires. World debt is 226 trillion-3 times global annual output. The poor pay. Norwegian parliament 5 Dec 2017 on the Nobel Peace Prize: not on peace of which with one exception they know little, but nomination to the prestigious committee. Miracle: sometimes the prize makes sense. Johan Galtung, a professor of peace studies, dr hc mult, is founder of TRANSCEND International and rector of TRANSCEND Peace University. Prof. Galtung has published more than 1500 articles and book chapters, over 500 Editorials for TRANSCEND Media Service, and more than 170 books on peace and related issues, of which more than 40 have been translated to other languages, including 50 Years – 100 Peace and Conflict Perspectives published by TRANSCEND University Press. 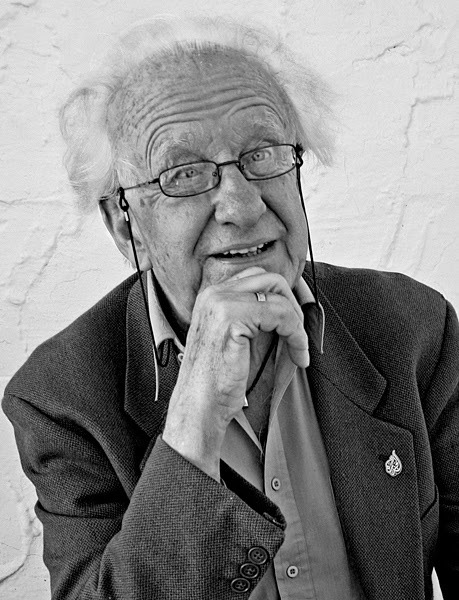 More information about Prof. Galtung and all of his publications can be found at transcend.org/galtung. A wide-ranging article in Johan Galtung’s inimitable style. An overview of our rapidly changing world, with a number of “go slow,” and “stop,” and “curve” and “detour” signs along the way. Few can knit such theses together as well as Johan. Here’s a smorgasbord of these times: eat what you want, as much as you want, but do be aware of nutritional values! I’ll take one “detour”: JG’s note about “Structural Violence”–how that concept, which he developed decades ago, has attracted deeper probing and greater understanding–with a tech-note of 1.4 million hits! Other side-trips here: the measurement of happiness. We’ve been seduced to thinking it’s all about money–especially in way-out-of-kilter USA! Spain offers a good antidote to our obsessiveness. La Nucia wants to limit “growth”–at least mere growth of numbers of population! But, importantly, “with no limitation on restoration, beauty, art, well-being.” Yes, indeed! Consider how “wealth” is defined and disseminated! Other good roads to travel down this essay include the way China and Russia are evolving as the US and European empires contract. And, of course, the millennial road to peace in the Middle East! If he is saying that the Norwegian Parliament has nominated him to that “prestigious [Peace Prize] committee” then, Hallelujah for their awakening! Thank you, J.G., for all you’ve done, are doing, and will do!